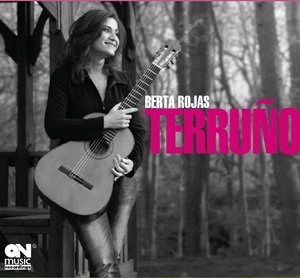 Recently, I had the pleasure of speaking with Berta Rojas about her music and her musical career. Here are Berta’s answers to my questions. Read on and enjoy! DN: Let’s go back to your beginnings in music, your education, your early influences. How is it that you become a musician, and a classical guitarist? BR: I got started by following the same path as my older siblings. One of them was a member of a band that was very well-known in Paraguay in the 80s. That’s how it came about that even from a young age, my two older siblings noticed that I had a certain talent for music as well and apparently, a very good ear, which motivated them to tell my parents that I should learn to play an instrument. Let’s talk briefly about some of your most recent recordings. Surely every one of them has a story. Let’s begin with Cielo Abierto. Cielo abierto was the first album recording that was produced on my own record label, ON Music Recordings, at a time when the physical distribution of music was giving way to digital distribution, with iTunes at the forefront. I was able to record this album in my own recording studio using portable equipment, which was small, comfortable and easy to use. Cielo abierto was the first product that came out and it was the first project for which I was completely responsible for managing. This entailed all the details of producing and recording an album. This album helped me learn the mechanisms necessary to sell my music in the digital marketplace, by taking advantage of the tools offered by Amazon, CD Baby and, of course, iTunes. The excellent reviews that Cielo Abierto received motivated me to continue producing my own music. 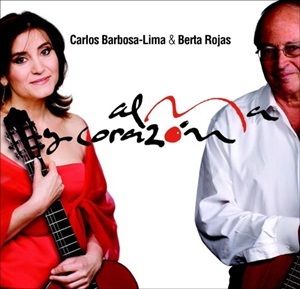 Let’s continue with the spectacular duo with Carlos Barbosa-Lima Alma y Corazón. This album, recorded in 2007 as the second release on the ON Music Recordings label, offered me the chance to not only interpret music alongside a great proponent of classical guitar, as Carlos Barbosa-Lima certainly is, but also to travel extensively with him, including to a performance in Carnegie Hall in New York, where the quality of the audience was truly moving and welcoming. I learned so much from Carlos. One of my favorite memories was when we recorded Scherzo sobre la Sonrisa de un Niño by Juan Carlos Moreno Gonzalez. In the middle of the recording session, Carlos proposed lowering the piece’s key so that the guitar would sound better. So, we had to improvise and do it “right on the spot”… it was an amazing experience. And now Intimate Barrios, your heartfelt tribute to the great Paraguayan composer Agustín Barrios. Intimate Barrios was recorded through Dorian Recordings and was a product of all the energy and force that comes with entering the market using music that was charged with my own identity. To our great pleasure and satisfaction, Gramophone, one of the most important magazines in the classical music world, selected Intimate Barrios as one of the best Latin American recordings of the music of Agustin Barrios. This filled me with such pride because the two albums at the top of the list were recorded by the great guitarist John Williams. Receiving that honor was without a doubt a source of huge satisfaction for me. You also did a magnificent DVD entitled Paraguay according to Agustin Barrios, in which you retrace the steps of the maestro. Paraguay According to Barrios was directed by Marcelo Martinessi. It includes eight video clips which take the viewer on a tour of Paraguay, accompanied by the music of Agustin Barrios. I wanted this project to bring images of Paraguay to the public eye because the people of Paraguay are not well known in the broader world. And I think that we achieved this. Julia Florida is an example of one of the clips that pays homage to Paraguay and its people. And now tell us about Terruño, a great collection of contemporary pieces by well-known composers. This album was essentially inspired by Latin America, basing its foundation on the homelands of each of the composers represented on the album. I designed the album to continue my support for emerging composers that I played in Cielo Abierto. They also serve as a dose of fresh air in the repertoire. The reviews that Terruño received have motivated me greatly to continue to develop my career as a guitarist. 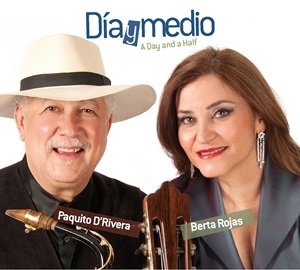 Next comes Dia y Medio (A Day and a Half), an exhilarating duet with Cuban saxophonist and clarinetist extraordinaire Paquito D’Rivera for which you received a Latin Grammy nomination. Día y medio is without a doubt one of my most rewarding projects. Its nomination for a Latin Grammy in 2012 was a clear sign that independent musical production is capable of forging its own path in the music industry; and that the industry is looking for new sounds. There was an absence of Paraguayan sounds in the market and we are very happy to have supported the growth of this repertoire. When I spoke to Paquito D’Rivera about doing a tour together, I had no idea the reach the collaboration would have: releasing a disc with him for instance. You can dream, but sometimes reality surpasses fiction. Paquito D’Rivera is not just a great musician; he is also quite a character with an extraordinary sense of humor—a lovable and admirable person in every sense. The musical arrangements provided by maestros Pinchi Cardozo Ocampo and Edin Solís are true gems and brought us great pride. I have a lot of love for this project. And then we arrive at your most recent release entitled Salsa Roja, another fantastic project that highlights the rhythms and sounds of Latin America. In Salsa Roja, I present the works of a few composers that I had performed in the past, as is the case with Edin Solís and Quique Sinesi. Added to these is Julio César Oliva, whose works included on this album have moved me to new levels of feeling, emotion and a sense of melancholy interwoven in the beautiful melodic lines of his composition. Also included on this album is a suite by my dear friend, the English composer Vincent Lindsey-Clark. I asked him to compose this suite specifically for me, using as his inspiration the music of the Americas. The title of the album was taken from the name of one of the movements of his suite, the Salsa Roja. Please tell us about the Barrios World Wide Web Competition, the first online classical guitar competition that you created back in 2009. Traveling as cyclically and frequently as I do, it’s truly an honor for me to use my music and to be a spokesperson for my country. With music, in interviews or in conferences and conversations with people, I feel like I am always able to tell others about my beautiful country, and the histories and liveliness it has to share. Paraguay is a well-kept secret of South America; and its music is a passport to international recognition. Thank you Berta for taking the time to share with our readers your views about your own music. Thanks to you for the opportunity of addressing your readers. 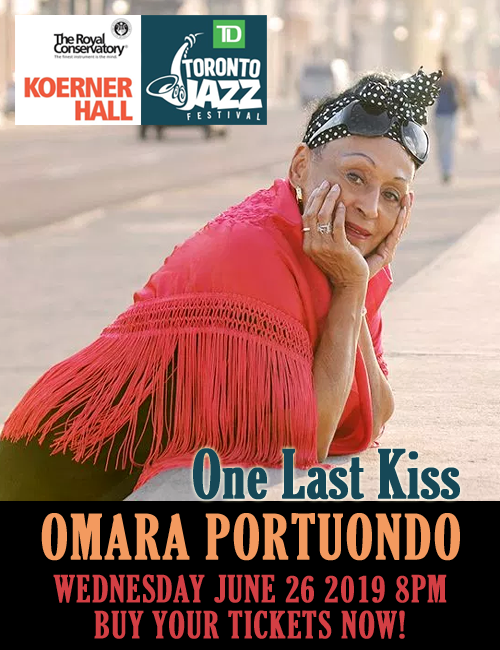 Her acknowledged warmth and musicality have accorded her a place of preference among the audiences that have applauded her at such major stages as the Weill Recital Hall of Carnegie Hall and the Frederick P. Rose Hall of Jazz at Lincoln Center in New York, London’s South Bank Centre, Kennedy Center in Washington D.C., and the National Concert Hall in Dublin where she performed as a soloist of the Irish Radio and Television Orchestra, or Flagley Studio 4 in Brussels where she performed with the Brussels Philharmonic Orchestra for the Belgian National Television. She also had the honor of opening the Summit of the First Ladies of the Americas attended by then First Lady Hillary Rodham Clinton. Most recently Berta has toured with Cuban saxophone player and 11-times Grammy winner Paquito D’Rivera with whom she recorded the album Día y medio -Day and a Half. This recording was nominated to the “Best Instrumental Album” category of the XIII edition of the Latin Grammys. Berta maintains a prolific recording schedule. 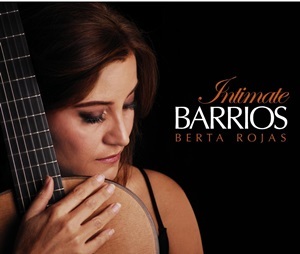 Her CD Intimate Barrios is one of the most celebrated recordings of the works of the great Paraguayan composer and guitarist, Agustin Barrios. It glows with the delicate insight and feminine touch this virtuoso performer brings to the music of Mangoré. 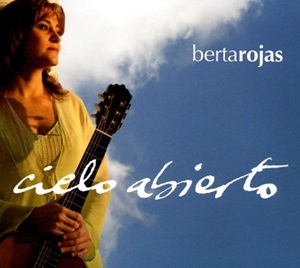 With her albums, Cielo Abierto and Terruño she won great acclaim from critics, presenting a personal and renewed repertoire for the classical guitar. 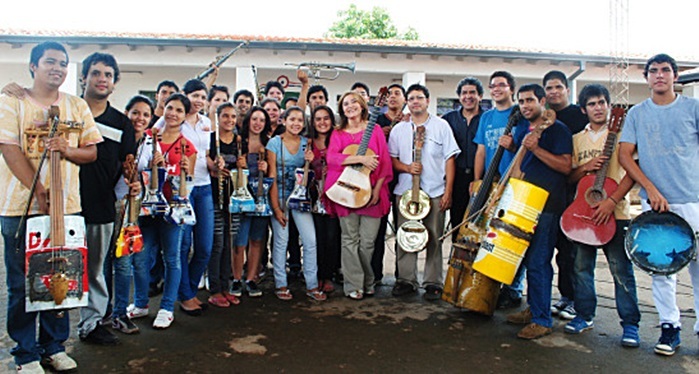 Furthermore, the album Alma y Corazón provided the opportunity for concert tours with Carlos Barbosa-Lima. 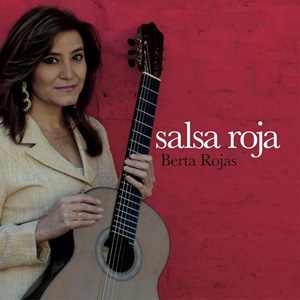 In addition to continually enriching her own artistic career through frequent international tours presenting concerts and giving master classes, Berta Rojas is firmly committed to furthering and disseminating the classical guitar. This has a particular focus on promoting the music of her country, Paraguay, as well as Latin American music, and includes her ongoing support to the careers of young upcoming artists. Along those lines, in 2009, she created the first online classical guitar competition, the Barrios World Wide Web Competition. With two editions already held, it continues to generate tremendous interest throughout the guitar world. 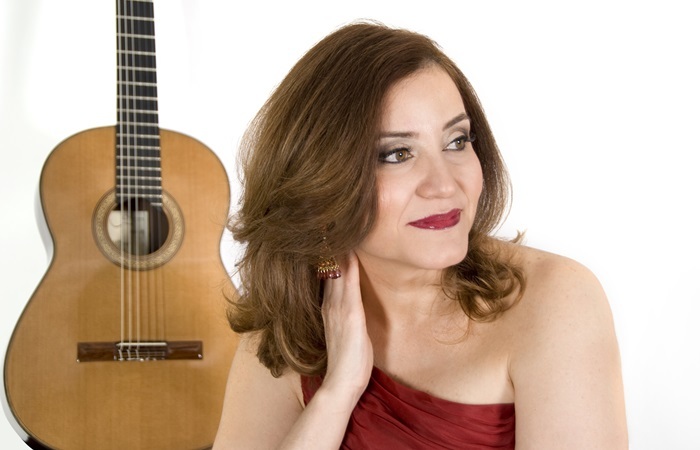 She was the artistic director of the three editions of the Ibero-American Guitar Festival held at the Smithsonian Museum in Washington D.C., and co-founded the young persons’ Beatty Music Scholarship Competition for Classical Guitar. The winners of this latter competition had the opportunity to perform at the John F. Kennedy Center in Washington, D.C.
Berta Rojas studied with Felipe Sosa, Violet de Mestral and Abel Carlevaro, among others. She earned her Bachelor of Music degree at the Escuela Universitaria de Musica in Uruguay where she was a student of Eduardo Fernandez. She later earned a Master of Music degree from the Peabody Institute under the guidance of Manuel Barrueco. This piece is really useful. Berta will hold concerts in Manila and Cebu, the Philippines, on May 15 and May 17 respectively. Dear Maria: Thank you for your comment. Your feedback is greatly appreciated. Just for clarification, the content under “About Berta Rojas” was taken exactly as it is on Berta Rojas’ website, under her biography. Saludos! But the article needs to be corrected. Berta Rojas is not “one of the most outstanding FEMALE classical guitarists today” (my caps), she is “one of the most outstanding classical guitarists today” (period!) She is amazing for any standard, not “just” “female” guitarists standards.